Don’t be surprised if during Holi, you are greeted with “Jai Shree Krishna” or “Radhe Radhe”. 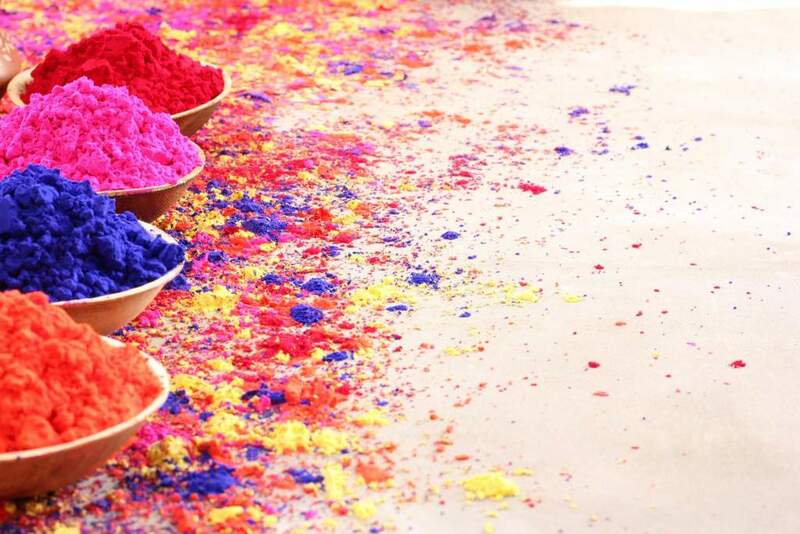 Holi, a festival of colours, is more than that. It’s the victory of truth and goodness over evil. The festival leaves a message that no matter the challenges, always look at the goodness in this world. Holi is celebrated in different forms across the country. The essence and purpose of it remains the same everywhere. 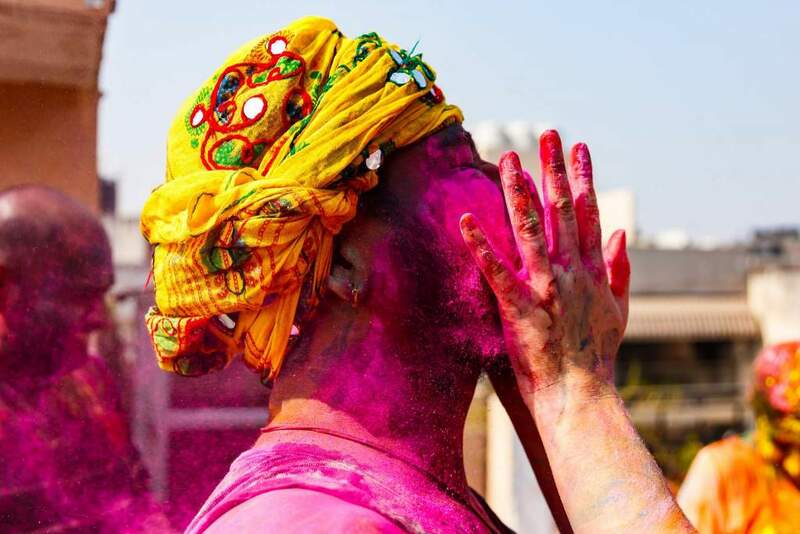 There are many stories revolving around Holi, and why it is celebrated. Stories of love, victory, fun, and innocence, etc. Holi is widely celebrated in the Indian state of Uttar Pradesh, where you can witness different forms of the festival in different cities. From Lathmaar Holi (Holi played where females hit men with long wooden sticks, in a fun procession carried out) in Nandgaon to Phoolon ki Holi (Holi played with colourful flowers like Marigold) in Vrindavan, Holi is all about spreading smiles and eating delicious homecooked food. Like many Indian festivals, Holi too revolves around food.. From sweets to tangy Kachori and Samosa, Holi never disappoints with food choices. As they say in India, Bura na maano, Holi hai (don’t feel offended, because it’s Holi). YES, Holi has no place for sadness or anger. It only allows happiness, joys and togetherness with each other, and create memories that lasts for a lifetime. 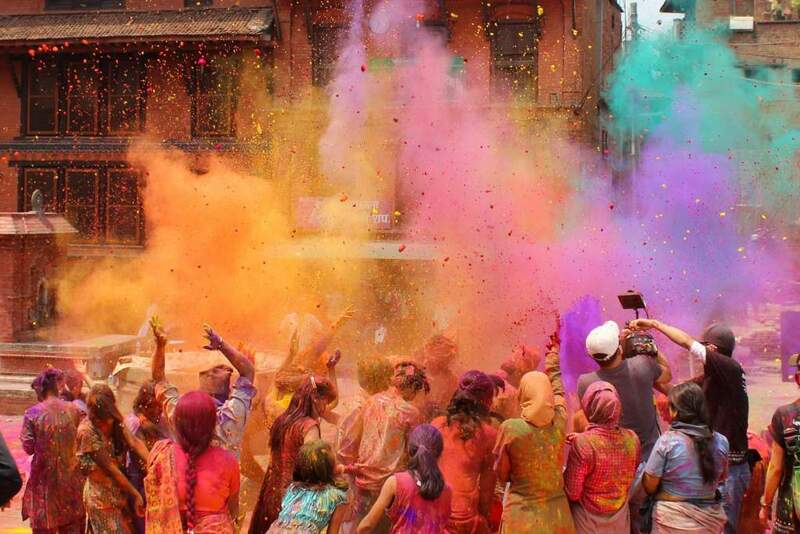 To book an experience travelling to India during the festival of Holi, contact us today.